You may have noticed our posters in the hall. 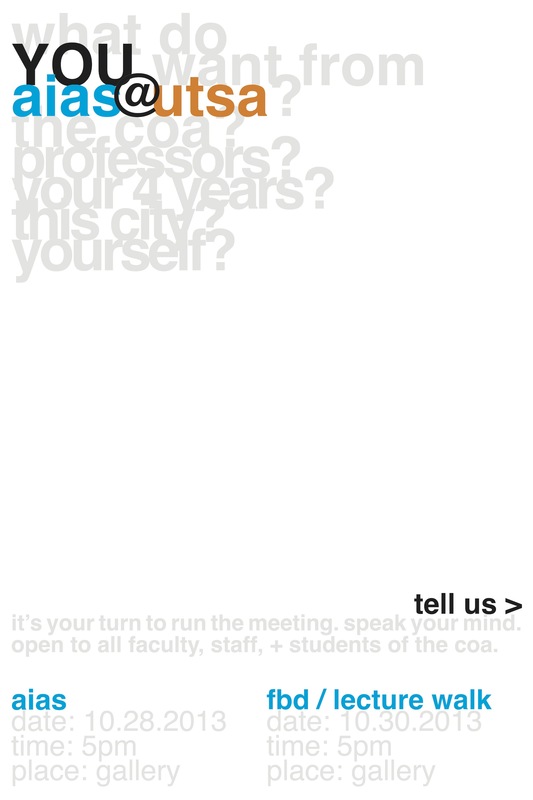 They asked a simple question; What do you want from your AIAS Chapter, from your College, and from your design education? Those posters may not be up anymore but we don’t want to lose your input. The dialogue was GREAT so lets keep it up and make sure to to join us for our general meeting and discussion on Monday Oct. 28th at 5pm in the Gallery! my view its really awesome in support of me.